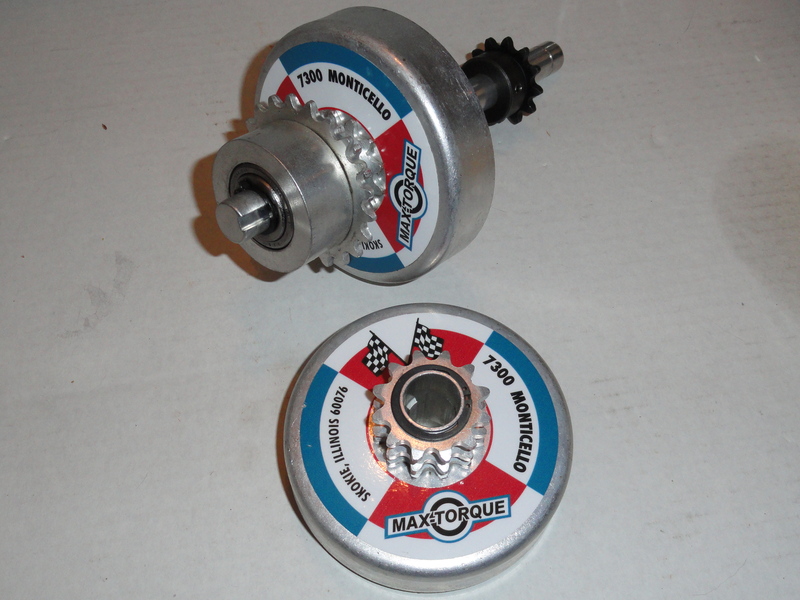 #13132R TWO SPEED TRANSMISSION KIT,fits 1968-1969, REPRO, includes 12T engine clutch (BLACK drum w/cooling holes), bolt, lock washer, washer, 5/8" jackshaft, 21T one way sprocket assembly (black), 12T drive sprocket, 13T driven clutch,, bronze washer, rollpin, snapring. (does not include #35 chain or jackshaft bearings) EXCELLENT REPRODUCTION, better than the original !! !